Bought this for my husband, this is the one he wanted. He wanted a good digital watch with retro appearance, good styling, not overdone with features he isnt going to use. A stainless steel bracelet, good looks, and even looks dressy easy to read and most of all, it had to be Casio. Retro looking Casio digital watch, reminiscent of 80s classic. Functions well but feels cheap although being a Casio, will probably outlast more expensive watches! Excellent service from watchshop whom would highly recommend and use in future. 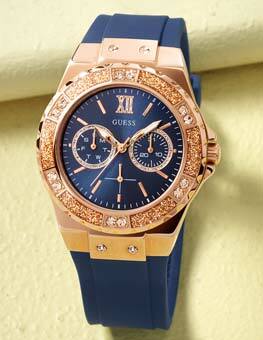 Great watch, good price, very fast delivery!! I am vert satisfied with this watch. It looks good and it has the functions I wanted in a watch, namely: Alarm system and illuminating light, which works fine. Value for money is hard to beat. I consider it to be a good deal. So excited to have this ..takes me back . Retro and so stylish lots of compliments already! Beautiful watch! bought it for my boyfriend and he loves it. Looks so good on the arm and goes with almost any outfit! Excellent tracking service. Received on the second working day as promised. Also, very happy with the watch and features. Indiglo, alarm, stopwatch and date. Feels light, almost feels like your not wearing a watch which is a plus for me. Excellent service, slick and professional. Excellent product. Great, reliable watch with a good backlit display. This is a simple, comfortable watch with a low key retro look. Bought this watch for my son. Just what he wanted. A lovely watch, very easy to set the time and date on. I bought this watch for my partners birthday a year ago, and it still looks brand new. He wears this watch on a regularly basis and its very comfortable, it has a bright light for checking the time in the dark. We had no problems adjusting the clasp either to fit his wrist. I would definitely recommend this watch if youre looking for a simple/ classic watch. Next day delivery, just what I wanted, what more can you ask for. Fantastic service. Exactly as described. Packaging was good, not a terribly fast delivery though. No problems so far, but its an Xmas present so its not been worn or appreciated by the new owner yet! 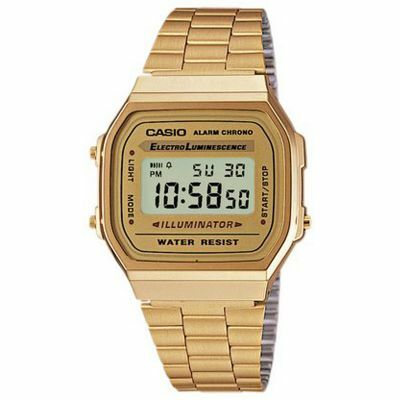 This casio is sick. Nice fit, easy adjustable and the retro style makes it look beaut! What an amazing watch! Ive worn Casios for about 20 years, and grown up with them on my wrist, but have never been brave enough to pick up a metal strapped one. I was always concerned that they would not be as comfortable as their rubber/plastic counterparts. I was wrong. Had this on for nearly two weeks not and Ive had no problems apart from it occasionally grabbing the odd wrist hair. It looks great, feels great, its a great retro talking point, and it works. Oh, and that light! Fully back-lit screen in a classic teal blue. Brilliant. What more could you want? Did exactly what it said on the tin, quick and efficient, would have no hesitation using again. This is a very familiar and popular watch and theres little more for me to add on top of what others have said. This is a lovely watch if youre a fan of those classic 80s early digital watches. The display shows you the relevant info time, day and date cleanly and crisply although you get some classic casio gimicky feature advertising around the display - it all adds to a pleasing reto -kitsch effect. It is a fairly small case by todays standards but I find it easy to read in most situations. In the dark, the Illuminator light is fantastic - and since few other reviewers have shown this feature I thought I would take a picture to show it off. This is an important function of his model over the other two similar looking steel casios A163 and A158 where you get a rather feeble little light to the side. The case feels like chrome plated resin and the steel bracelet is quite adequate bearing in mind the cost of the watch, adding a classier look and a nice bit of weight though this is a lightweight bracelet compared to most other stainless steel ones. A couple of other things about the bracelet to bear in mind: Firstly, you adjust for the size of your wrist using a small clasp attached to the strap. On my first watch this broke and I had to return it. The second one has been brilliant so probably just a glitch but be aware and adjust carefully. Also the bracelet does have a tendency to pull at the hairs on your wrist which occasionally makes you wince slightly but not for very long - a short shake of the wrist sorts you out again! While were on niggles and I dont begrudge niggles for the value this watch represents, I would ideally like a way to turn off the beep you get every time you use the buttons as I live at a Buddhist retreat centre and silence is a virtue! Also, the button to reset the stopwatch which I use a lot for cooking also turns the backlight on which feels a bit clunky. All niggles rather than deal-breakers though! The watch is packaged in effective if rather functional packaging- certainly not a gift box style presentation one of the other reviewers has taken a good picture of the watch in its box. Overall then - I think one of these steel bracelet casios , perhaps especially in gold if you can pull it off Like Idris Elba! gives you a lot for your £22 and must be the coolest watch available at this price point. Everything you need and nothing you dont - highly recommended!! Absolutely fantastic watch. Id been looking at these a while but always felt they were too pricey on the high street. However, decided to treat myself and Watch Shops prices make it even better. Looks amazing and have had a lot of compliments about the retro cool look. Really happy with this iconic watch. excellent product. I got both colour, silver and gold. look very nice! Excellent quality watch, very reasonably priced. The backlight is nice and bright and the strap is easily adjustable. Great item, great service, cheap price. Loved the resizing service also. Really wanted a retro style digital, taking me back to my teenage years. Extremely pleased with solid build and especially like the multi-position strap adjustment with firm clamping device. This fitted even my large wrist just!. Amazingly good price for quality watch, with features like backlight, stopwatch and alarm all with simple settings. Good quality watch, fits well. Delivery was vety fast and am ver y pleased with the communication between watch shop and myself. Kept me upto date with regular emails. Old school and perfectly simple whilst fully functional. Comfortable and light and have confidence that it will last for years to come. Casio make classics now. 80s style colour LCD display purchased purposefully for a vintage look with the copper coloured glow. Metalwork/stainless style strap and casement all as expected. Nice watch, especially considering what is now the retail price in 2015 compared when I was just a youngster in the 80s and envied my Uncles version the moment I spotted it. The watch was really nice and easy to adjust according to the size of my wrist. The watch itself is very comfortable and was also very easy to set up. I would recomend this Casio watch to anyone. love the watch!! slim and practical as well as stylish! all the features are great and easy to use! although, in the instruction book it did not say anywhere how to fit the watch to your wrist size, as it is a watch that does not require any links to be taken out. however, i was able to just look it up online, which was fine, but it would be useful to be included! I have had model watch for years and my Nephew has also said how he thought it was cool, so I bought it for his Birthday. He loves it. 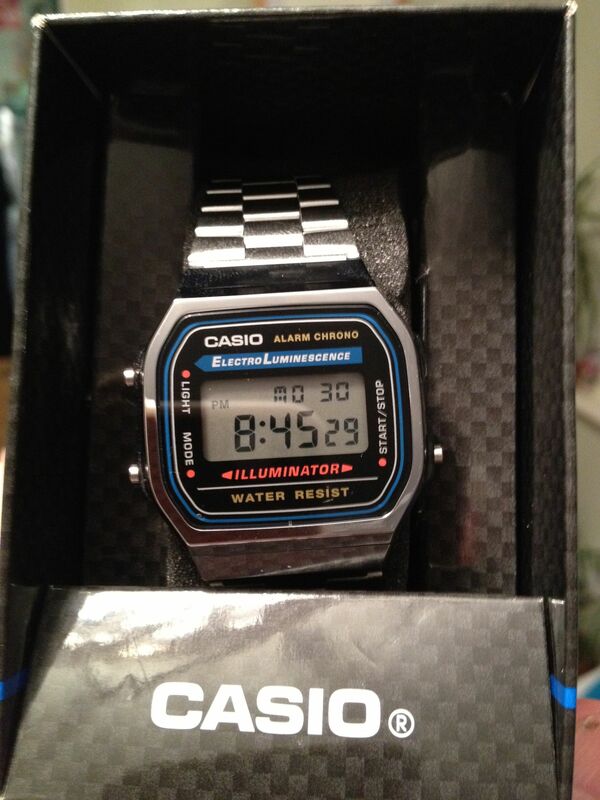 Its a true classic Casio, looks great and is easy to use. The alarms are easy to set, and the stopwatch comes in very useful when my husband borrows it when he is running the football team. What more can I say other than, Id like another one for my Birthday please. Excellent service. Goods delivered on time. Correct item received. Left in secure place as I was out at the time of delivery. The order process was very easy. I could track the order through to delivery. It arrived when it should have. The watch was very easy to set up and the strap could be made shorter or longer quickly. 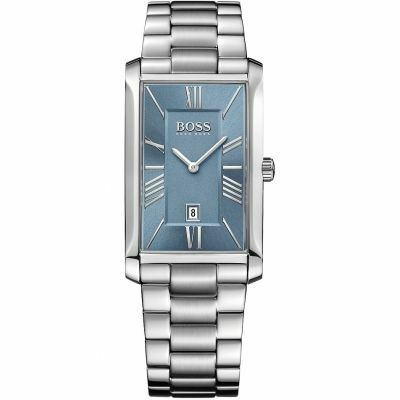 The watch is timeless classic with modern twist. The watch face is the classic part, and the slick silver strap is the modern twist. For the price its perfect. You get a lot for your money. Im absolutely delighted with this watch. I saw it in a local retailers for double the price! Just what I expected from a Casio product, and more. I particularly like the illuminated dial feature. The strap adjustment is quite straightforward to do yourself. I think Casion should have provided guidance in the User Manual. But of course, Goldsmiths will do it for you foc. Its so shiny, sleek and has the vintage cool look due to its classic face. I love it. Received it for my birthday and cant stop checking the time just to check the watch out! My friends all agree its a cool looking watch. It has quite a large face due to unisex so may look a little big or bullky on a slender female. Lovely product, came in great condition and was packed responsibly for the item. Im unable to comment on the likes and dislikes due to it being a present, although from what I know, it was a strong product. However, the wrist size was quite large, but this may be a personal thing. Now I have bought one for a friend and have seen it on, I would really like one myself so its defiantly on my next purchase list. I bought this watch for my boyfriend. He really liked it and it fitted well. Very quick delivery and service was brilliant. The product is as described, a classic watch, which has a lovely weight to it, and looks great for a retro look. The display is big and clear, with the time, days of the week and date all displayed. It also features a stop watch and alarm system as well. The strap is easily adjustable and is comfortable on the wrist. 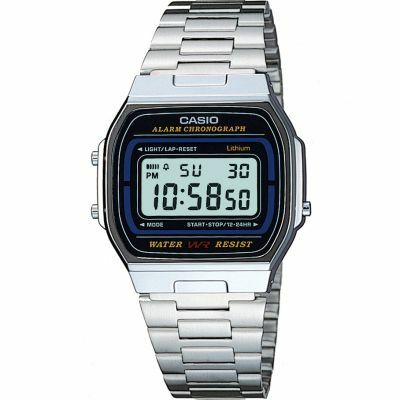 The casio retro watch is brilliantly priced and a solid metal watch. It is waterproof, has an alarm and also a light function. It is shiny silver - goes with all outfits. It is a well priced quality product. Just what I was after. No fuss with getting the links removed as the lock is adjustable. Love the watch, Its a classic, its small, simple yet edgy. Takes me back to my youth! Also considering purchasing in gold too. Strap a bit flimsy but great for the price and its right up my brothers street, real old school. He seen in a shop at nearly twice the price bargain!!! Bought this for for my son as a birthday present and he was very pleased with it. Lovely watch, very smart looking. Catch a little awkward to work sometimes. Was a goft and wearer very happy with it. Online was quick and easy and was delivered to me on the date it was set. Purchased for my son, loves the retro style that happened to be state of the art when I was his age! Product is good appearance and quality. I really like this item because it have a vintage appearance and lighter than any other watch. Shipping service is really fast. We bought this watch for our Grandson who had done so well in his exams. He was absolutely delighted with it. It is perfect for any occasion and a happy reminder to him of how proud we are of him. What can i say... this is about the coolest watch that Ive ever owned.. twice! I cant believe that theyre still making them. I was torn between the original with the little yellow bulb side light that only illuminates the seconds and one of the minutes, but i finally opted for the ElectroLuminescence! 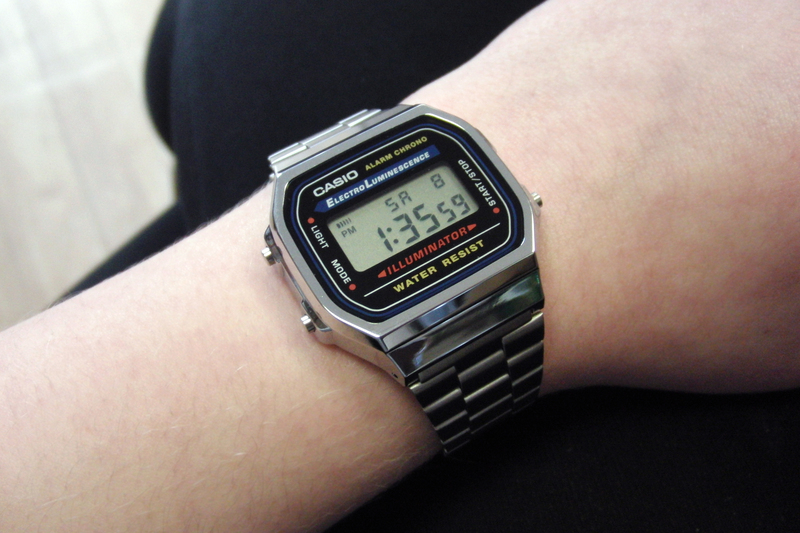 I saw a guy at my old job wearing one and wanted it straight away, but i waited until id left that business so that i was the original one that made the leap to classic Casio. Plus, very quick and excellent service from the WatchShop! I was looking for a simple classic watch. Something with a bit of understated style and maybe a retro twist. This watch ticks all those boxes. Its very comfortable to wear, looks great on I think and without the big dial bling or overly complicated features of so many watches. Simply classic. Item arrived very promptly and packaged very well in the manufacturers packaging and additional watchshop packing. The watch looks completely spot on, I chose it based on a similar watch my father received from my grandparents when he was 21. Obviously a bit has changed and the weight is lighter and more of a comfortable fit. The adjustable clasp is an absolute genius removing any need to visit a watch store to have it adjusted. Great retro look with all the usual digital watch features. Sturdy and robust metal strap that is very easy to adjust. Buyers be aware: after extensive research on the web including video reviews! the watch face was still a tad too small for a male with an average wrist circumference. great watch. nice size. not bulky. good for every day use. easy to set up. needed to take a couple of links out. no problem.casio always delivers what I am looking for. The person who I brought this watch for likes Casio classic. Its his 5th watch of this type and style. If he is happy, then I am. Very nice retro style watch, quite small and has an easily adjustable strap which makes it perfect for smaller wrists. Easy to use and set up etc..
Looks modern, yet has retro stylings which make it look very nice. However, the backlight did not work when I received the watch which is disappointing to say the least. My son is really happy with this watch. Its everything he asked for and he wears it all the time. Its ideal for a teenager and I highly recommend it. I am a watch addict, have loads and wanted one for swimming and holiday. This was like something from my youth. in the past I wanted to see if they had what I wanted. I have found that the Watch you sent me meets all my requirements plus the benefit of an illuminated on demand light for use at night. Gorgeous watch, easy to adjust the wrist size once I worked it out! comfortable and a good weight to it without being too heavy. This watch looks amazing and I love the retro feel to it. Its the perfect size and I am an 18 year old female with 16cm circumference very slim wrists, so my only worry was would the watch be too bulky for me but it is absolutely perfect see photo for how it looks on my slim wrists. Its definitely not dainty so if thats what youre looking for I recommend the Ladies version, but its not too manly for a woman to wear the unisex title fits it perfectly. The backlight is a lovely bright blue and is very clear. I love everything about it. Good make, good value for money. I definitely recommend this watch. If youre looking for a simple, retro looking watch with just a slice of good looks without a million rhinestones, then this is the watch for you. I would 100% buy this again. This little devil is just gorgeous! Devil as it really does refreshes the memory of your old good days! Would suit casual, sport style, winter, office workers. It just....somehow really delivers that something that makes it feel a bit different from other watches you used to wear. Fantastic. The watch looks very retro but modern, an ace in my books. Purchased the watch as a Valentines gift for my partner and was extremely happy with the quality of the product. I was quite sceptical about the Casio arriving in the post, but was carefully packaged, so it was absolutely fine. Great service and arrived really fast. Im a happy customer. Really pleased with this purchase. Ive got a few nice watches that I am reluctant to wear for work for fear of damaging them so I thought Id buy this as they have always been reliable and because of the price it wont matter too much if it gets scratched etc. Looks good, works well, couldnt ask for more! 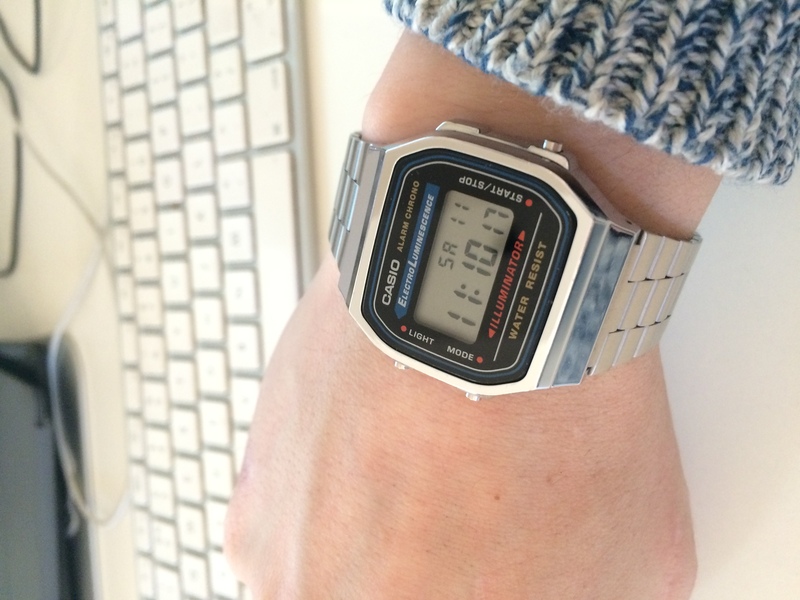 This is the second retro Casio Ive purchased from the watchshop. Just like the previous watch it is great quality and exactly as advertised. One minor point, the light isnt that great, so Im going to order the luminescence version of this watch which has a much better lightwhole screen lights up but thats just a personal preference, as Ive said, the watch is as described on the website. This is a good 80s retro watch, its nice and light so you hardly know its on your wrist, the strap is easily adjustable with no need to remove links so it fits. Setting the time, date etc is simple and the illumination function is good for telling the time in the dark. All in all its a great watch for the price. looks even better on the wrist slightly smaller than i thought it would be. but i am very pleased with the watch , didnt need instructions on how to set up the time, date, calander, alarm fairly straight forward watch simple but great watch all round . Very prompt delivery and great price. Love this Casio watch. Would definitely use WatchShop again. I was pleased with the speed of delivery, especially so close to Christmas. The watch was a gift, so I cant comment on it. This is the third one I have had. The previous one had a soft strap which rot very easily. The metal bracelet is much better. I have had three of these watches and I like the 24hr option as I travel abroad The light on this model is excellent in comparison to the plain faced model which is impossible to see in the dark. I chose this one as it has a good light, a metal braclet and I know I can depend on the watch for quite a number of years although it is not expensive it is a very nice looking watch. Great efficient service and gift receiver very happy with his retro watch. Would shop here again. Product was excellent. Arrived within the agreed time. Relative happy with present. Great price . Brought as a gift for my boyfriend. Cool Casio watch perfect for everyday wear... only downside is the metal strap scratches his wrist a bit, but apart from that its a great buy! the watch arrived the day after ordering, which is a promt service. it all looked in good order. I was really impressed firstly with the service I ordered the watch on the Friday and it arrived the day after this to me was outstanding. The watch is a gift for my son who asked for this for xmas so as yet I have not had chance to review the product in full detail however from what I have seen it looks fantastic value for money and exactly what I ordered and was expecting. easy to order with quick delivery. quality and value for money also , would defo use watch shop again. Casio watch is a classic and looks great. The watch is lightweight and easy to wear, the dials are easy to read and it looks like it did in years gone by. I had this watch way back in my teens and when I saw it again on here I just had to have it! Everything about it was just as I remembered. Perfect. Retro happiness! 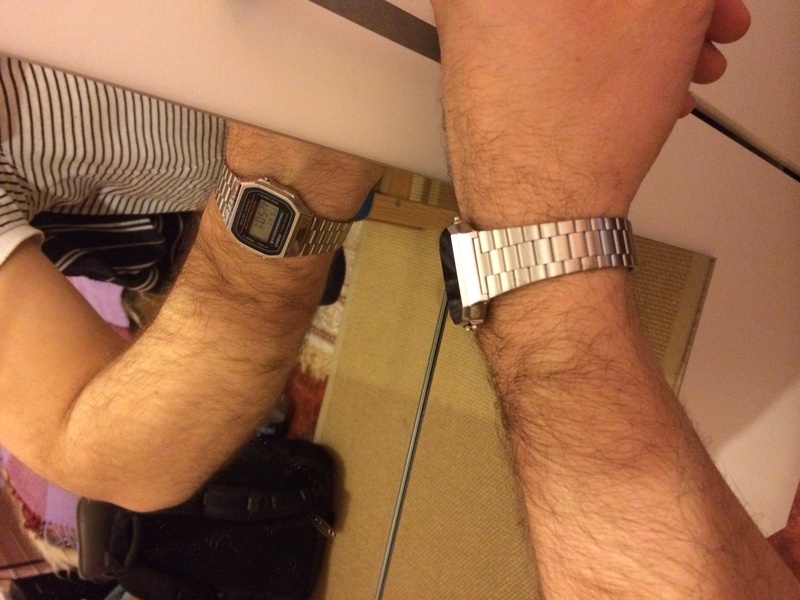 Excellent quality watch as you would expect from 1980s electronic superpower Casio. I owned one of these timepieces initially circa 1992, although I wansnt quite as excited as a 35 year old man compared to my 14 year old self, it DID still bring back some memories. The watch itself is still as robust as ever, although the aesthetics are not quite as futuristic as the first time around, instead being replaced with retro cool. All in all, a fantastic product that has stood the test of time lol geddit?. A good quality watch cheap enough and durable to wear to work as a lorry driver. Second watch of this type I have had, first kept perfect time for three years until smashed by falling bricks at work. Strap comfortable and strong. Love it! thought this watch was small when I opened the box but it wasnt once you get used to the size its perfect! couldnt fault the look of this watch very retro! Got this watch as a gift for my 25 year old sister for her birthday! 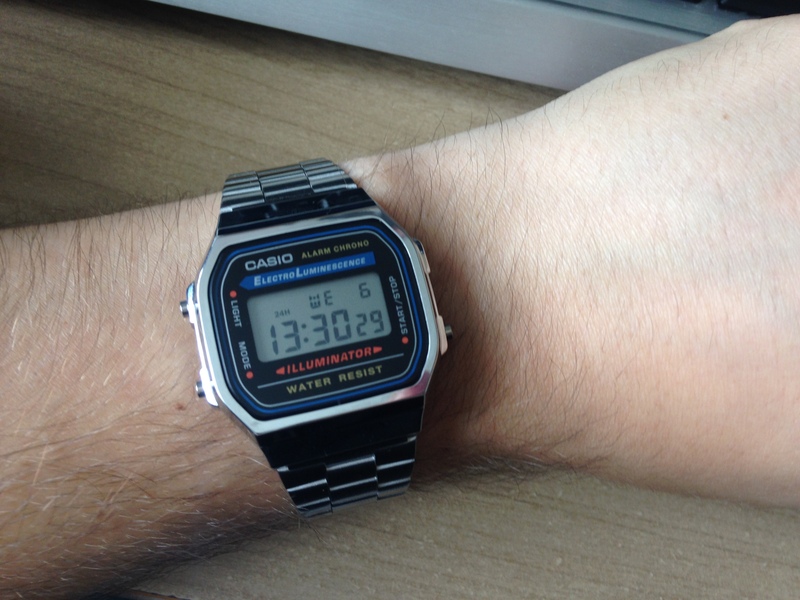 Have always had Casio watches but this is by far my favourite. 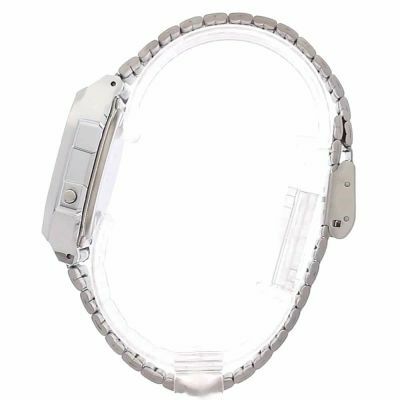 The classic casio band with the digital face really gives it an edge over other watches! Great value for money especially for such a brilliant make. THIS WATCH IS GREAT. IT HAS A RETRO FEEL TO IT AND CHEAP IN PRICE. QUICK DELIVERY. WOULD DEFINITELY RECOMMEND. The casio watch arrived well packaged and promtly. I am very pleased with the functions and style of the watch. Really nice watch, great price, looks really retro! Still comes with the little light abs is really lightweight. Brought for my boyfriend and he loves it, a little more dressy than the rubber strapped version. I love my new watch!! I was not sure about getting it for me because when I read the reviews most of them were written by guys or girlfriend that bought it as a present for their boyfriends... but as it says is an Unisex one so i got it! And its just perfect for girls as well!! The price is really good and i fell really happy with it! Great watch, keeps brilliant time and a classic design. Easily adjusted the length of the strap as it was too long. This was bought as a present for me and I love it. It has replaced another, similar Casio watch that lasted well, especially considering its extremely reasonable price. In fact my old Casio watch is still in perfect working order, its just a little worn in places, as youd expect. So this is a little refresh. This is an attractive little watch with that retro styling that I love and some added extras that make it worth a lot more than its price-tag suggests. The light makes it easy to see the time in the dark and has been improved since the last version of this watch. The light is now brighter, its blue instead of green and seems to light up the screen much more evenly – some handy improvements. 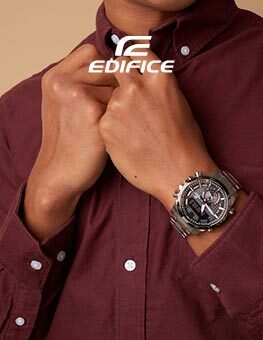 The strap of the watch can be very quickly and easily adjusted to the right size without the hassle of removing links. The simple mechanism slides up and down the length of the strap, snapping in place wherever you need it. I would definitely recommend this watch. This is my third Casio watch and now I wont wear anything else but a Casio. 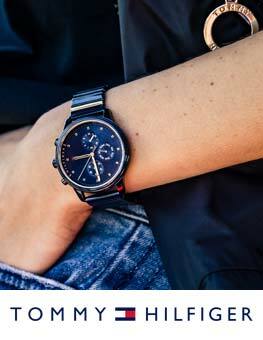 The watch is a very comfortable fit which looks smart. It is easy to set up with the correct time and use its alarm and stopwatch function. The watch itself is great and there is nothing bad about it. The silver and black go great together and you should buy this watch. I love this watch great price and retro. Also includes a stop watch and alarm all roun excellent buy. Im very happy with my purchase, it is exactly how they described it. I couldnt fault the product. Absolutely great watch keeping me in im for things I have to have at certain times. Just what I required. Nice style and looks good. Strap slightly disappointing as not that easy to clip into place if you are not very dextrous. The watch is fantastic and in perfect condition and working order, was a birthday present and he loves it. Very happy with the product. The watch was for my son for Christmas. Apparently it is perfect and just what he was after. It takes a lot to please a 17 year old, well done. This watch is just what I was looking for, it look good on the wrist but it was slightly too big but I just got the catch moved up as I have small wrists. I am really please I bought this watch I never stop wearing it now. I would recommend anyone to buy this watch it is well worth it. Really good watch, great quality and value. Got this for my sister for her 18th birthday and she loves it. Recomment this for anyone. Great watch, retro look. Does everything you could want it to do really. Even came adjusted to the correct size to fit my wrist, what are the chances of that? Very good product for a very good price, wear it every where and looks go with every thing. Great, basic and retro watch. Its small and light making it comfortable to wear. A nice looking watch. Ideal for my husband. It is described as unisex but I dont think that it would be suitable for many women. Great product, exactly what I was expecting and delivered in good time too. Would use this company again. Really nice watch, i can wear it at the gym, at college, sitting around at home or even going out. Its water resistant which is good as I dont have to take it off before I shower etc. its lightweight and a cool style. Looks good on me (male) and also on my female friend who owns. Would recommend 100%. 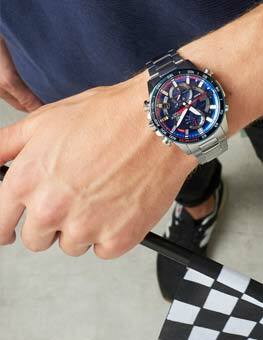 Really nice watch, bought for my boyfriend who loves it. Its professional enough for him to wear to work yet retro so still looks stylish. This is an excellent watch - I knew it would be as I had had another of the same type previously. The blue backlight it particularly useful in the night. It illumunates the face well, unlike some other watches I have owned in the past. A great watch and love the retro design. My love for the watch is due to my youth and this being my first electronic watch. I have Omega and other high end watches however get the same pleasure from wearing my casio classic. The blue back light is brilliant, comfortable to wear and is bomb proof reliability wise. Great website - very cheap. Watch arrived exactly on time. Very pleased with my purchase. 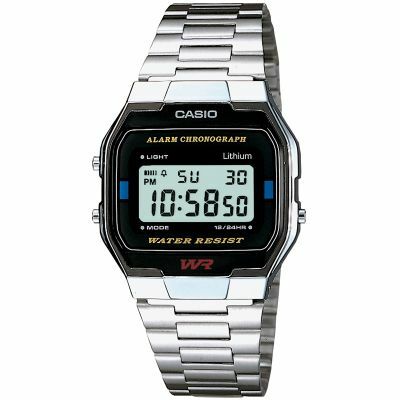 A Casio classic alarm chonograph watch A168WA was purchased as a present - I own one myself and know that it is a great product. Very reliable and stylish. Very nice presentation box, nice back light colour, easily adjusted metal wristband, smart design style, easy to read numerals.It was a lovely present to give. fast reliable service and the watch was exactly as described, will recommend to all my friends. My husband saw this on the site after I'd ordered a watch for my sister. He loved the retro style of it and it reminded him of the watch he had as a teenager!! Have looked for something like this for sometime now and it tickes all the boxes. Service was brilliant, didn't expect it to arrive as quickly as it did. Well done! This watch is just as good as I remembered it when I had one when I was a wee lad. Good value too. really nice product, arrived promptly and feels very nice to wear and looks great. Happy to order again from this supplier. This is a brilliant watch to own, efficient, strong and good looking. Not too small like the A163WA-1QGF model but appropriately sized for a male wrist. The watch is very slim and sleek and can be worn with almost anything be it smart or casual as it suits almost anyone and anything. The feel of the buttons and the design of the face encourage a true feel of owning a retro watch. The only problem I have enocountered has been that of the sizing. I found it hard to get the right size so the bracelet was too large for my wrist and I did not feel confident enough to try changing the size myself and so had to take the watch to be adjusted at my local Timpsons. Very satisfied with watch - not too big and chunky but gives digital time plus day and date. Bracelet looks smart too. Good value for money. This is a great "retro" watch, without the crazy price tag. It is so refreshing to have an all-metal watch again, and one that does all you need from a watch, nothing more, nothing less. The display still lights up with blue like it always did, and the buttons have the same springy feel. This is a great watch not only for people who grew up with them, but for anyone looking for a simple and sturdy watch.